Owner/Manager can live here in complete private 1 bd, 1 bath attached residence and run this profitable 16 year well patronized restaurant that seats 30 guests inside and approx 20 guests outside under majestic grove of trees. Modern, fully equipped restaurant kitchen has all that is needed and kept in pristine condition. Well established local patrons enjoy the exceedingly clean, well spaced quaint dining area with its local country decor & Menu. Most seasonal residents entertain their guests at this only restaurant in town. Patron restroom is ADA compliant, 16KW generator keeps the food coming in case of the occasional wintertime power outage. 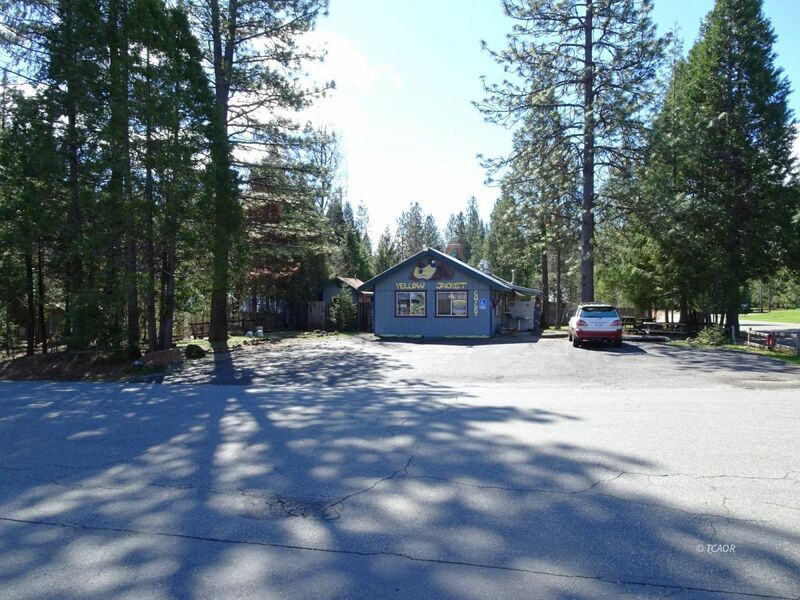 Located on corner of main entry of town just minutes from Trinity Lake boat ramp and Trinity Center airport. Parking is plentiful and just across the street from the only grocery market and gas station in town.